Until now. Out of curiousity, I went and look at the statististics for all of my posts in 2012. And I learned something. I know I should pay more attention to “the numbers” – visits, comments, RTs, shares, etc. But I don’t. I’m always grateful for these things, of course; like every other writer, I’m always gratified when something I do strikes a chord. But it’s not the main reason I write. That is a more complex subject, comprised of compulsion and the desire to tell a story, no matter how large (or small) the audience. If you had asked me what I thought was my most visited post of 2012, I would have said “Acknowledging Daily Mercies, What?” published in June. And I would have been right, even without looking. What happened was that Tim Challies at Informing the Reforming cited it in a blog post, and visits soared (once again punctuating how much of the internet is all about influence). What did surprise me was this: five of the ten most visited posts on this blog were poems, and by a significant margin. Four of the five were in the top five most visited posts. 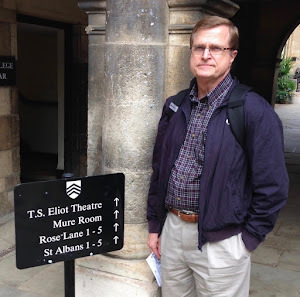 I can’t explain why; there was no Tim Challies of poetry who cited any of them on his blog. But there were tweeted and shared, and a few showed up on some lists. 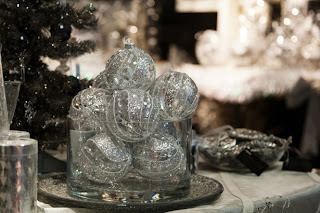 So, here are my 10 most visited blog posts of 2012, out of a total of more than 450. To provide some numerical context, the blog averaged between 200 and 250 visits a day in 2012. "Acknowledging Daily Mercies, What?" had just over 700. The last post on the list had just over 300. The poems had 588, 502, 484, 393, and 324, respectively. Does this mean I should post more poetry? I don’t think so. I think I’m going to keep doing what I have been doing. But the poetry thing is still surprising. Photograph by Peter Griffin via Public Domain Pictures. Used with permission. 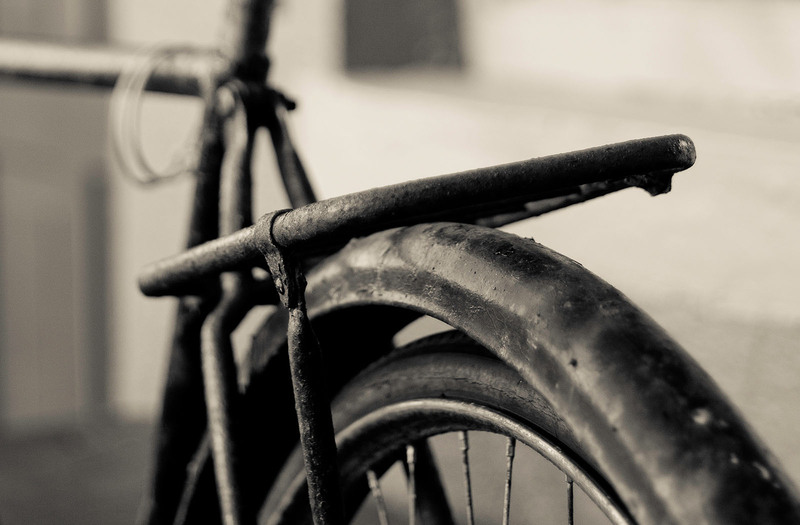 At dVerse Poets today, the poetics prompt is change. To see other poems submitted, please visit the site. Painting: September, by Gerhard Richter (2005), Metropolitan Museum of Art, New York. I’m taking a bit of a different tack today, and looking at my nightstand. 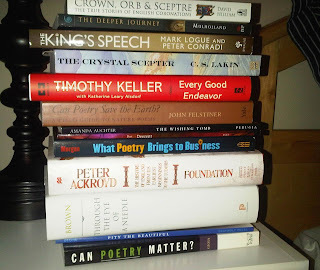 I have a pile of books either waiting to be read or in some stage of reading -- some for work, some for articles I’m working on for The High Calling and TweetSpeak Poetry, some for research for my own literary endeavors, and even a few for pleasure. Can Poetry Matter? by Dana Gioia. And a collection of his poems entitled Pity the Beautiful. 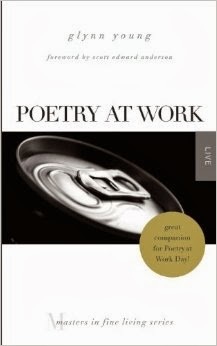 What Poetry Brings to Business by Clare Morgan. Can Poetry Save the Earth? 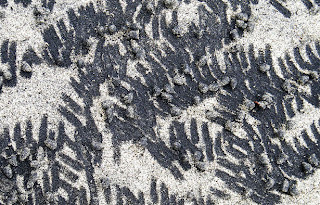 A Field Guide to Nature Poems By John Felstiner. Descent: Poems by Kathryn Stripling Byer. The Wishing Tomb: Poems by Amanda Auchter. Foundation: The History of England by Peter Ackroyd. Crown, Orb & Sceptre: The True Stories of English Coronations by David Hilliam. The King’s Speech: How One Man Saved the British Monarchy, by Mark Logue and Peter Conradi. Through the Eye of the Needle: Wealth, the Fall of Rome, and the Making of Christianity in the West 350-550 AD, by Peter Brown. The Deeper Journey by Robert Mulholland. APE: Author, Publisher, Entrepreneur, by Guy Kawasaki and Shawn Welch. Booked: Literature in the Soul of Me, by Karen Swallow Prior. The Crystal Scepter by C.S. Lakin. Maybe these aren’t on my nightstand. Maybe they are my nightstand. I saw this afternoon that two articles I posted this year at The High Calling have been named to the Overall Best of 2012 List. You can see the entire list at The High Calling. All this week, The High Calling has been posting the best stories from each of the categories it publishes. Some 1,600 article were posted this year. 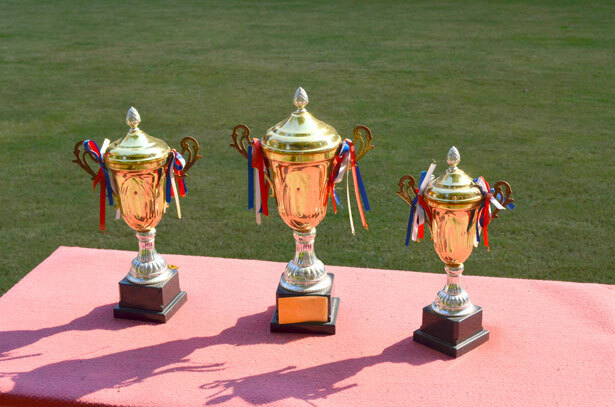 My secret for having two articles on the list: I worked with an outstanding team. We encourage each other to do our best. The team deserves the full credit. It is intriguing to think that at the same time William Shakespeare was writing plays in England, Miguel de Cervantes was writing Don Quixote in Spain. The two of them together transformed Western literature. Cervantes birthed the modern novel, influencing writers from Dickens and Dostoevsky to Garcia Marquez and Milan Kundera. Before Don Quixote, Cervantes can best be described as an aspiring, and aging, writer, known by some for his poetry and by others for one (largely failed) novel, La Galatea. He had been a secretary to a cardinal in Rome, a soldier, wounded in the naval battle of Lepanto against the Turkish fleet, captured by Algerian pirates and held in Algiers for five years before finally being ransomed, and came home to Spain to fail at many careers. Then he wrote Don Quixote, and Western literature changed. The book was published in two parts, separated by some years and by a rip-off entitled The Second Volume of the Ingenious Gentleman, Don Quixote de la Mancha. The rip-off was published under the pseudonym Alonso Fernandez de Avellaneda; the real identity has never been determined. The second volume by Cervantes was almost certainly a response to the “false Don Quixote” and an attempt to quash it, which it did. 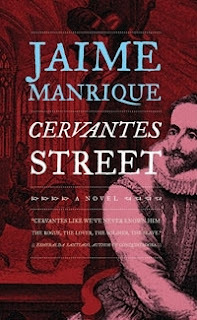 It is this circumstance – the real and the false Don Quixotes – that novelist, essayist and poet Jaime Manrique uses to create the thoughtful, engaging and extraordinarily well-researched Cervantes Street. The novel is about a great work of literature and how it comes to be written, but it is also about passion, jealousy, rivalry, love and Spain, above all about Spain of the Golden Age, in all its supremacy, wonder and brutality, and the brutality of Spain’s Arabic enemies. Cervantes Street is a kind of fictionalized biography, but it is also more than that. Some of what Manrique writes is speculation, because there are large gaps in what we know about the life of Cervantes. But enough is known, and much more on the history and culture of the era can be accessed and assimilated. And so Manrique succeeds in what every fiction writer hopes to do – he transports the reader to the time and life of its subject. The novel is told from three viewpoints – Cervantes himself; his school friend Luis Lara; and Lara’s employee in government service and later personal secretary Pascual Paredes. Cervantes is unaware of the rage and jealousy he’s engendered in his friend; Lara is unaware of the disdain his personal secretary hold him in. Swirled together, it is a story of intrigue and suspense. In a beginning note to readers, Manrique explains that he has “appropriated” certain scenes from various works by Cervantes, including Don Quixote. This was a common practice in the Golden Age; Cervantes himself “appropriated” scenes and materials from his own life and even the work of the “false” Don Quixote. This “appropriation” is not a wholesale borrowing or a kind of “inspired lifting” by Manrique, who shapes the scenes to fit his story. Cervantes Street is inspired reading, resulting from inspired writing. It tells the story of a great author in his time, and helps us see ourselves in our own time. Ten-year-old Davy Murray has serious problems. His mother has just remarried after his father’s death, he doesn’t like his new stepfather, and now he has to spend the summer in a rural, wooded area with Grandpa Will, his stepfather’s relative. No friends, no familiar haunts, and the prospect of three months with people he doesn’t like at all. But he’s not at Grandpa Will’s for very long before he knows that the unexpected becomes the normal, and strange things are afoot. For one thing, the animals talk to Davy, as if they knew he was coming and he was expected. And for another, Grandpa Will knows David is the chosen one, even if Davy himself doesn’t know it. Thus begins Martha Orlando’s A Trip, A Tryst, and a Terror, the first book in a series called The Glade. And what a story it is. Orlando gets inside the mind of a young boy struggling to come to terms with his changed family, and to his own feelings of loyalty to his father. Davy Murray is beginning a great adventure, and taking the reader along with him. To step into A Trip, A Tryst and a Terror is to step into a kind of contemporary Narnia (animals talk there, too). There’s a wise owl, talking squirrels --- and who knows what else, except one sense that it’s not going to be all wise owls and talking squirrels. 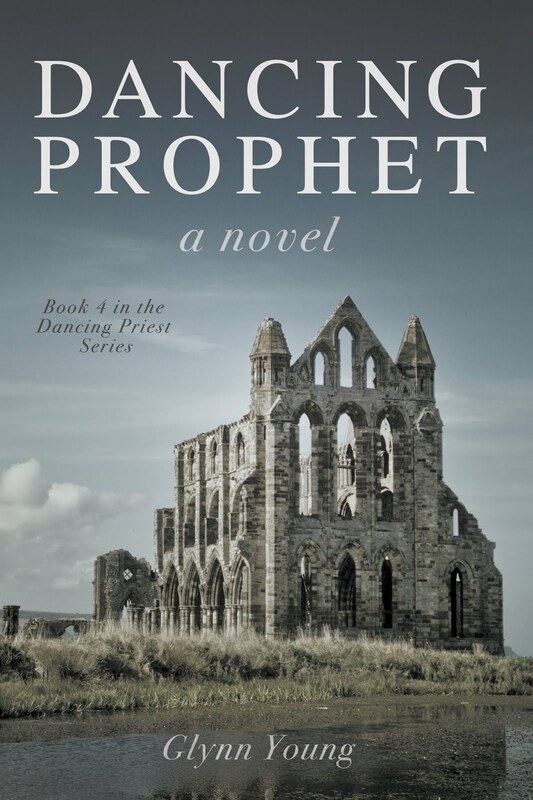 Aimed at younger readers, this story of faith and redemption will resonate with older readers as well. Martha Orlando’s blog, Meditations of My Heart. 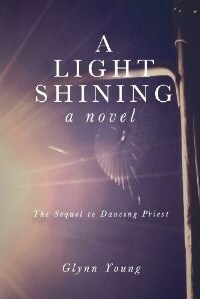 Last week, we talked with Michael Kent-Hughes, the hero of the novel Dancing Priest and recently published sequel, A Light Shining. We also had a chance to talk with his wife, Sarah Kent-Hughes, who plays a significant role in the developing story. Sarah, some readers have said that A Light Shining is more your novel than Michael’s. Do you feel that way? I suppose I understand why people might say that, but I don’t think I agree. Certainly, my role changes from it was in Dancing Priest. And for at least a portion of A Light Shining, it assumes an importance and prominence that’s greater than Michael’s, for rather obvious reasons. But the story is still our story. Some significant things happen to you in A Light Shining – you’re now married to Michael, you’re settling down as a young wife to a minister, you have your art career, your family is unusual for young marrieds, with a young boy to care for soon joined by a teenager, there’s your pregnancy, and then, of course, comes the Violence. Ah, yes, the Violence (pause). All of those things aren’t terrible unusual, with the exception of the Violence. It is the event where Michael’s life and my life diverge, at least for a significant part of the novel. There’s a lot I could say, I suppose, but I don’t think I’m ready yet to talk about it. It is still too raw, too right there in front of me. I still have dreams about it. Nightmares, sometimes. Can you talk about how you emotionally got through it? My faith in God, for one thing. I simply kept holding on to it. At times it was all I could do. And then I had some terrific people who helped me more than they’ll ever know. My sister-in-law Barbara, for one; Scott’s wife. I don’t know how I would have made it through that weekend without her. Our boys, too, Jason and Jim. They risked their lives to save mine. And other people, too, Father John Stevens at the church, his wife Eileen, Michael’s cycling team. Paul Finley, our head elder. My in-laws the McLarens, and my dad. And so many more. All of them gave much of themselves for me and the boys and for Michael. That last night before the Violence; can you recall it? Vividly. Michael and Jason had gone to the youth coffeehouse at the church; Jim and I had stayed at the loft with Toby Phillips, our so-called intern. Toby told jokes and make shakes, smoothies, I think, even helping me forget how pregnant I was. And then, just a few hours later, it started. (Voice trails off) It was our last normal night. And it may have been our last normal night forever. So what’s next for Sarah Kent-Hughes? Another book, perhaps? What’s next is trying to rest while trying to raise a family. And I don’t even want to think about another book. At least not for some time. I know Michael is actively considering it, but we’ve only talked once about it, and he knows where my head is right now. But later on, I don’t know, we’ll have to see. 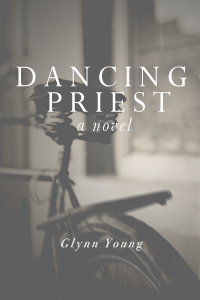 Note: Through tomorrow, Dancing Priest is a free download on Amazon Kindle. Photograph by Petr Kratochvil via Public Domain Pictures. Used with permission. A young man studying to become a priest finds love, and learns that faith can separate. A university cyclist seeking Olympic gold finds tragedy, death and heroism. A pastor thousands of miles from home seeks vocation and finds fatherhood. A young woman living abroad finds love and loses family. A university student meets a faith she cannot accept. An artist finds faith and learns to paint with her soul. 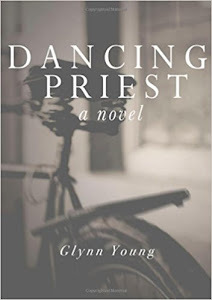 Dancing Priest is the story of Michael Kent and Sarah Hughes and a love, born, separated, and reborn, in faith and hope. The first hands which touch me are the rough, calloused warn hands of the carpenter, hands that first hold me before he gives me to my mother. The first smells I know are the earthy dust of the road in the carpenter’s cloak, the hay for the animals, the animals with all their smells, and my mother. The first sights I see are the hands pulling me from the womb, the blurry face of the carpenter and then my mother, the light from the single lamp. The first tastes upon my tongue are my mother’s breast and then her milk, saltiness then sweetness. The first sounds I hear are my own cry, my mother’s pain, my father’s tears of joy, the sounds of animals at rest. The first physical sensations I experience are the touch of cloth wiping away blood, the prickliness of the hay, the hardness of the trough, the coolness of the night air. The first touch upon my heart is the love of my mother, the love of my father, both loces accompanied by fear and pride, wonder and amazement, and awe. Photograph by Anna Langova via Public Domain Pictures. Used with permission. Never have I known such fear. 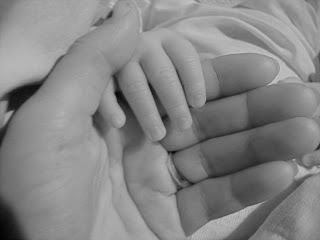 Never have I felt such weight, as if all of the wood that passes through my hands presses down upon my soul. Never have I known such a dream, a dream which changes everything. Into my hands is placed responsibility for Mary, and for the child to come. The child will be a son, not my son but my son, my son whom I will love and cherish. I am to raise my son to be a man, a man who will save his people, the man not a man foretold by the scriptures. Comprehension is hard. Acceptance is not. Acceptance becomes the obvious thing, the natural thing. I am experienced in working common wood; it is my life. Into my hands is being placed the finest cedar of Lebanon, the wood God used to build the temple, the temple planned by David and erected by Solomon. The best wood, the finest wood, the most beautiful. Never have I know such love. 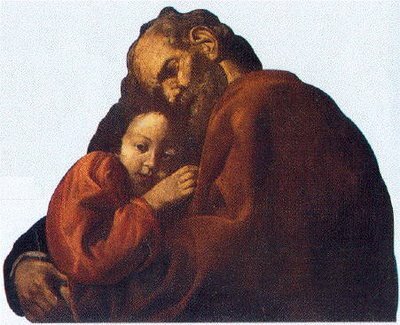 Painting: Joseph and the child Jesus by Giovanni Battista Caracciolo (circa 1622); private collection, Venice. It is whispered, a faint but urgent murmur. These fools surrounding me think I don’t see them turn away or suddenly stop speaking as I approach or paste their sickly courtier smiles on their sickly courtier faces. It’s in the bazaars like a rumor of free pomegranates, or figs fresh from the orchards; in the caravans passing through to Egypt and Damascus. It slinks its poisonous venom among my own barracks troops. My sons speak haltingly, stuttering their nervousness in front of me, not concerned for their father, of course, never for their father. They hear the mutterings and their self-obsession trembles for their futures. It’s in the very wind that dries and sears my palace walls, the burning that parches my throat with a thirst no wine or water can satisfy, the wind that taunts and dares me to respond. The wind blows its foul breath and whispers Messiah. The Messiah comes. I order my priests to search their precious scrolls, my scribes to examine the court archives, my astrologers to study the stars and the heavens and tell me what they find in the alignments and movements. They come before me, my priests, my scribes, my astrologers, they come before me with the necks bent, waiting for the sword to slice their impunity. My wife tells me she dreams of Messiah. All of them fools. A pack of fools. Superstitious idiots. They do not know what kings do to messiahs. Even if the wind whispers the name. 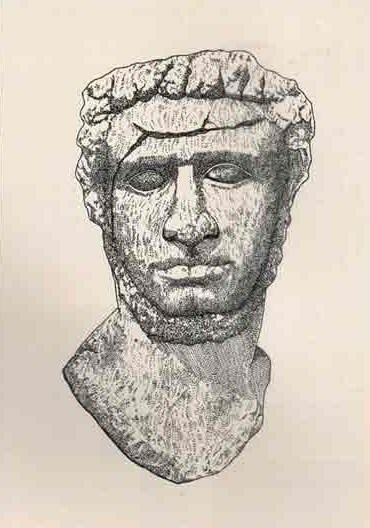 Illustration: Bust of Herod the Great, 1st Century B.C. ; Florence. For this edition of Saturday Good Reads, I’m turning to the tumultuous world of e-books, and specifically to two e-books recently published e-books. One is about writing poetry, and the other is about creativity. Both are good reads. In Inspired: 8 Ways To Write Poetry You Love, Barkat writes about poetry – what it is, why you should consider it, and why you should consider memorizing it. And why you should write it. In fact, she makes it rather easy to begin. She describes five kinds of poems (there are others) – the catalog poem, the sonnet, the resolution poem, the sestina and the villanelle – gives examples of each, and then provides writing prompts and links to more information and discussion. Barkat goes on to suggest you tweet your poem to @tspoetry (the Twitter account for TweetSpeak Poetry) and post your poem on the TweetSpeak Facebook page. 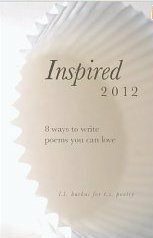 She’s the author of six books, including a poetry collection, InsideOut: Poems. (And I have to say even her non-fiction works read like poetry. You can visit her author page on Amazon for the complete list of her works. In Creating Space: The Case for Everyday Creativity, Cyzewski makes his case – and a compelling one – for creativity, that it’s not only for kids and a few artistic types. His definition of creativity is broad enough to include cooking, painting, drawing, sculpture, pottery, dancing, writing, sports, knitting/sewing/crocheting, woodworking, gardening and drama, and he says that list is only a small sample. Cyzewski is the author of seven books; you can see the complete list at his author page on Amazon. He blogs at In a Mirror Dimly. Joseph Jacobson works with his 11 brothers in a Denver advertising agency owned by his father. Joseph, the second youngest (from his father’s four marriages), is clearly the favored son. His brothers are consumed by growing envy and anger, and eventually find a way to banish him from the firm, the family and Denver. It should. It’s the story of Joseph – he of the coat of many colors in the Bible, the son of Jacob, the young man sold into slavery who eventually becomes the second most powerful man in Egypt. 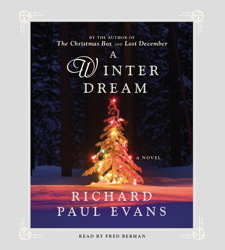 In A Winter Dream by Richard Paul Evans, Joseph Jacobson becomes the second most powerful man in a Chicago-based advertising agency. Evans, author of the 20-year-old favorite The Christmas Box and numerous other books, has told an engaging story that demonstrates the author’s own knowledge of the advertising business and a fairly clever way of retelling the Biblical story. Evans includes a number of modern flourishes and embellishments – a girlfriend from southern Utah, assignment to a company backwater instead of the prison of the Biblical story, and a coat that, while it isn’t of many colors, is still full of meaning for Joseph and his brothers. Telling a story that holds the reader’s interest is Evans’s long suit. This isn’t serious literary fiction, but it’s not meant to be. It’s simply a story about relationships, brokenness, healing, and redemption. The novel includes a bit of accelerated plot development at the end – some of the resolution could have stood another chapter or two – but it is still a good story. Related: My review of The Christmas Box. When we were in London in September for vacation, one of the first museums we visited was the Tate Britain. And the highlight of the Tate Britain was the collection of works by J.M.W. Turner. Joseph Mallord William Turner (1775 – 1851) was the foremost landscape painter of his generation, and early on he was recognized as such. Admitted to the Royal Academy of Art at a surprisingly young age, Turner had a significant impact upon his own generation, as well as the generations of artists to follow, including the Impressionists. In Turner, author Peter Ackroyd sketches a life of the artist that provides basic information about the man, his family, his career and his major works. This is the kind of biography I wish I had had before viewing the collection at the Tate – short, straightforward and providing enough detailed information to provide some depth and understanding of collection (including how the collection came to be at the Tate). Don’t let the “brief life” description mislead. Ackroyd has done his homework. He pulls from letters, contemporary accounts, the writings of Turner admirer John Ruskin and others, and proceedings of the Royal Academy, among other sources. 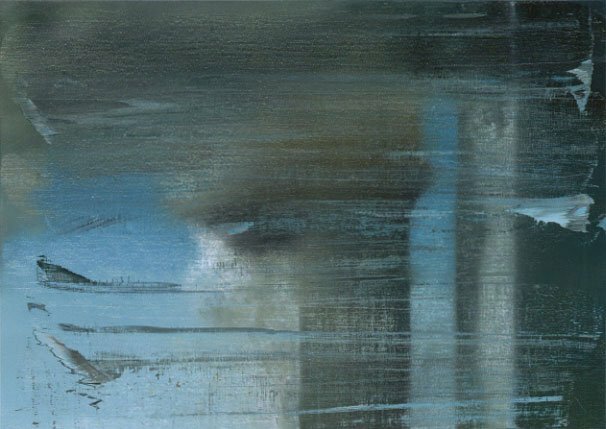 In Turner, Ackroyd presents an artist who produced an astonishing number of works over his lifetime, one who worked almost feverishly – much like Dickens later worked in literature and magazine publishing. Turner and Dickens seem to share another important characteristic – self-awareness of their place in their respective fields and how they wanted to be known after their deaths. And both men were producing significant and important work up to the times of their deaths. If you’re interested in a more in-depth discussion of Turner’s paintings, watercolors, engravings and other art works, then Turner: The World of Light and Color by Michael Bockemuhl is a succinct (96-page) resource. It is published by Taschen, one of the leading firms for art books and artist biographies (the one you usually find at art museums). This would have been another good book to have read before viewing the Turner collection at the Tate, or perhaps viewing the collection, reading the book, and then visiting the collection again. It includes color reproductions of many of Turner’s major works. Painting: Light and Colour (Goethe's Theory) - the Morning after the Deluge - Moses Writing the Book of Genesis by J.M.W. 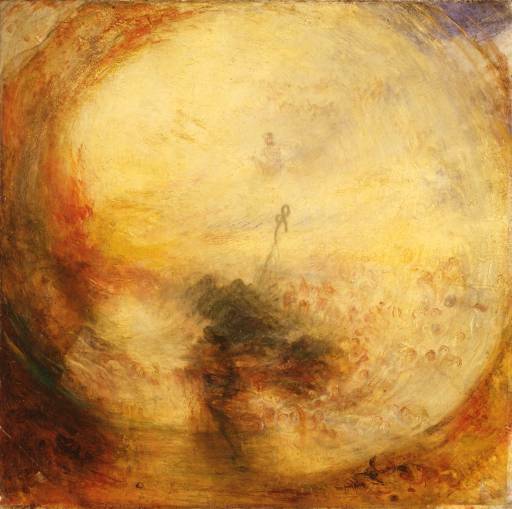 Turner (1843); Tate Britain. 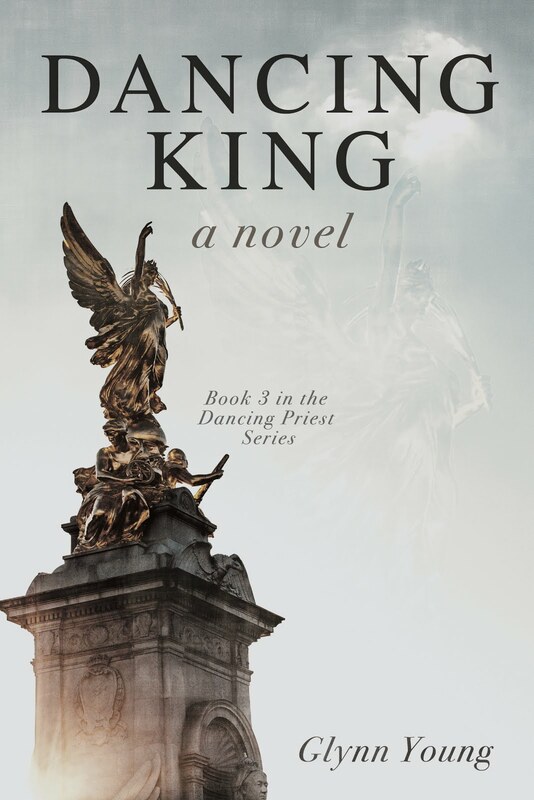 We caught up with Michael Kent-Hughes, the lead character in Dancing Priest and its sequel, the recently published A Light Shining. We asked him about what happened between the books, how he feels about the turn the second novel takes, and where he goes from here. Michael, thanks for taking time to talk with us today. When we left you at the end of Dancing Priest, it looked like a wedding was in the future. It was. And there was a wedding, and it was one wild bash. It falls in between the two novels, so you only get a few references. Either Glynn Young isn’t big on details or something was cut. I suspect the latter. You and Sarah have joined your names as a married couple. You were Michael Kent the last time we talked. We weren’t making any kind of statement; it was simply something we decided to do. Sarah also though it sounded rather British, a bit of English and Welsh hyphenation. Her father, who had walked away from the family in Dancing Priest, is clearly back, and a reconciliation has happened. I've heard you had something to do with that. Strictly rumor. (Grins) It’s part of the wedding story; I might have to talk with the author to see if he’ll do a novella or something to bridge the two books. I did have a private conversation with Seth Hughes, however, and some things changed as a result. For both of us. 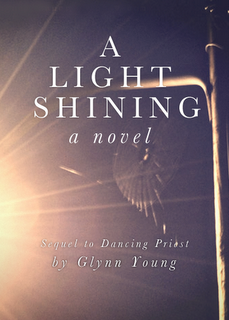 A Light Shining is a very different kind of book than Dancing Priest. A romance and a kind of family story has moved to what is clearly suspense. The reader knows from the very first page that something bad is threatening. That’s exactly what happens. I can tell you that Sarah was none too pleased, too. We were thinking that we were young marrieds, beginning a new life together, thinking about family, raising Jim and then Jason, me considering my career and future in the church, and then it all blows up. Sarah literally goes through more of the story than I do, given the amount of time I’m out of action, so to speak. But she’s magnificent, isn't she? I watched all the news reports afterward, and, well, I better not give too much of the story away. A Light Shining has less emphasis on cycling than Dancing Priest. Were you happy with that? Cycling is still a part of the story, of course, but it’s become less central. That’s to be expected. I wasn’t planning to pursue a cycling career, and I get enough in the story to keep me satisfied. This new character in the story, the one who comes in at the very beginning of the book – what did you think about him? Knowing what I know now, I have to say it’s chilling. He was the last thing I expected. Of course, everything else about the story was about the last thing I expected, too. So what’s next? Will there be another book? The truthful answer is we don’t know. Much depends on how this current one does. I also have it on good authority that the author is working on another and different kind of book altogether, something to do with poetry, along with a novella and a completely different novel. Sarah and I have been talking about it. 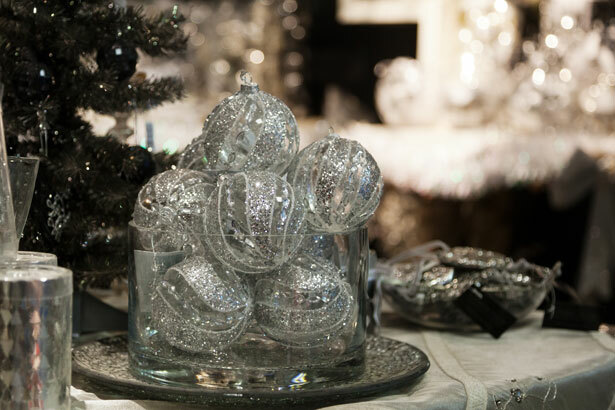 We’re going to have our hands full with family and, well, those other things we now have to deal with, as you know. I’m not sure if we’ll actually have the time or not. But it might be fun. But don’t tell Sarah I said that. and cool, live a river stone. slowly eroded by waves, and rain. This poem is submitted for Open Link Night at dVersePoets. The links will be live at 2 p.m. Central time today. Photograph by Fran Hogan via Public Domain Pictures. Used with permission.